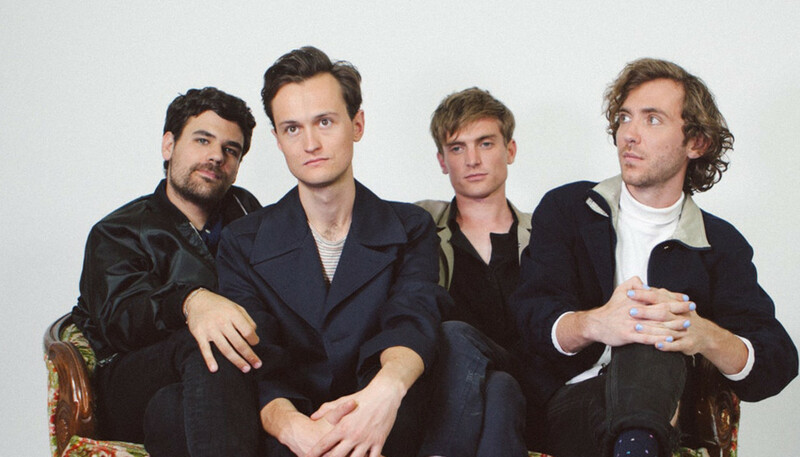 Following two sterling albums for Constellation Records, Montreal-based quartet Ought are now on the roster of illustrious indie Merge Records and exploring a more expansive sound with superb results. We caught up with frontman Tim Darcy to hear about the band’s shift from post-punk, and to discuss how forward-planning and communion inspired Room Inside the World. How are you settling into 2018 so far? You know what, it feels a fair bit better than 2017. There’s a scent in the air of things being good. 2017 did feel like a bit of a garbage fire. Yeah, that would be the exact term that I would use. I was thinking about positive growth outside of the echo chamber, and thinking about politics in a way that’s not antagonistic. You kept a relatively low profile last year. What were you up to? Yeah, we did some good tours in the fall with Waxahatchee, which was an amazing group of people and it was nice to work in a couple of new songs. We’re still mostly playing the first two records live, but now we’re really looking forward to the headline tours in March and April, where we’re gonna be playing mostly the new material. After touring Sun Coming Down intensively, you peeled off for various solo and side projects. Did you take any time out for making music in-between these two studio albums? There was a bit of downtime but I was pretty busy. But we wanted to engineer more time in making this third record. The second record we made pretty much right out of touring the first record, which we toured a whole lot as well. We got back and went straight into writing, and that felt very appropriate at that time, for that record. But just from an artistic standpoint we wanted to make sure that we took a little bit of time to talk about ways that we wanted to expand as a band, and the new sounds that we wanted to bring in. We’re all really happy that we did that for this record, and obviously it really changes the sound world from the first two. Definitely. The first two albums felt like companion pieces, and Room Inside the World almost feels like a new chapter. I agree that there’s been enough of a movement between the second and the third records that people wouldn’t immediately have guessed every move that we’ve made. And that’s a good thing, I think. We pushed beyond our comfort zone and we were also pretty earnest about it. We really wrote things that we wanted to hear. People comment on the development of the sound but for the most part I really feel like it’s still in conversation with the other two records, which is also nice because it speaks to the underlying songwriting characteristics in us. Really though, the change between this record and the second record was that with this one we took time before we started writing to discuss it. We had these visual mood boards and, in terms of music we listened to, it was a lot of spectral jazz and folk music. And we made more time: we spent about five months writing and recording the record, which is long for us. What was the rationale behind expanding your sound? We’d just grown. I don’t mean that in a pejorative way, like we don’t feel proud of the two records before. We were just young when we made the first record, and a little bit older when we made the second record, and you see where this is going... We just felt like over the four years that we’ve been a band, we’ve all taken in a lot of new influences and we wanted to explore new aspects of what the band could do sonically; just to write in different ways but also hone things that we had done on the first records. Given a year and a half to reflect and play the songs live, it was like, how can we take this songwriting idea and distil it or expand upon it? That was more the drive than feeling like, ok, we’re done with post-punk. ‘Desire’ is a real stand-out. Can you tell us more about the composition? Yeah, that one came out very whole in the writing process and we didn’t have to tinker with it too much. It surprised us as well, and it’s become this cult favourite – which is a ridiculous thing to say because no-one’s heard the record yet. But for friends who we’ve shared the record with, that’s become one of their favourite songs. In my perspective, it’s still very much an odd song. We had this song called ‘Pill’ that was on one of the EPs, and ‘Desire’ is kind-of a lyric-heavy, sparse rock song in that vein. So in that way it doesn’t feel so out of the realm of what we’ve done before, when I describe it like that. But it is definitely new territory for us, for sure. Previously, it felt like you excelled at leaving jagged edges, whereas this album is a lot sleeker. Is that a consequence of working with producer Nicolas Vernhes? Short answer, yes. He definitely brought a lot to the process and he’s made a lot of amazing records, but it definitely was an intention of the band’s as well. We did pretty extensive demoing on our own in Montreal before we went down to Green Point, Brooklyn, to finish the record with Nicolas, and those demos are pretty sleek as well. I don’t know, it was more us taking a different approach to how we wanted to make the record. The first two records were very much about capturing a live energy because we were very much a live band at that time. We wanted to take elements of that and combine them with a more studio-heavy approach. With taking more time comes the ability to sink deeper and deeper into a particular recording. Part of the development of the sound is that a lot of those sharp edges started to disappear on their own as people started to get better and better at their instruments. But also on the previous records, leaving those moments in for the sake of keeping it really raw was part of the intentionality. Our intention shifted. We wanted to leave more sonic space for texture and instruments to come in to play on the record, and to make those moments less about a particular guitar set-up. It wasn’t about trying to make music that was more commercial or whatever, it was us really wanting to use the record as a really big palette that we would get to play with in a new way. Has the fact that this album was more studio-focused raised any issues in translating the new songs to the live environment? It has brought up some issues. There have been fun challenges and also frustrating challenges, but it’s all part of evolving as a live band as well. We all really care about the live show because it’s just been something that we’ve all gotten a lot from historically. It was really good to have the two short tours last year to get to try out the new songs in different manifestations. We’re in a place now where we feel really solid about how to play the songs, so we’re really excited to showcase the new album in the best way that we can, while also making it a good live show that we can travel around with. Your previous records have focused on existential angst, but with this album it feels like you’ve moved away from that slightly. Can you tell us about your lyrical preoccupations? Well there’s definitely less angst. I think the short answer is for me that themes usually come after the fact, when I’m thinking about the album that we’ve finished. Reflecting on this album, I think there are themes of interconnectedness, and there’s definitely a romantic element to some of the songs. That’s part of that thread of thinking about communion, and thinking about the connections that we have that are progressive. That was another element that was coming up a lot on the record. Like, how to think about things not in direct opposition to another thing because that’s an essential aspect of what it means to think about having a progressive movement or a growth. Not that that opposition can’t be there, because there’s still some of that on the record, but I was thinking about positive growth outside of the echo chamber, and thinking about politics in a way that’s not antagonistic. I think that is actually a thread that runs through a lot of our records. Like, not solely existing in reference to the negative thing, but also thinking about a positive action beyond that. I think that I, as a lyricist, took those themes a little bit further on this record. There’s just a lot of human stuff on the record. (Laughs) And I use that with a degree of humour because it’s such a broad term, and everything is human stuff. But I think that art has always been very concerned with thinking about humanness and that comes up on the record. 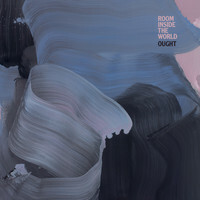 Why did Room Inside the World resonate as a title for this collection of songs? It just sort of came to me and immediately felt very appropriate. I think there is a little bit of a double entendre, and there’s the sort of macrocosm sense of room inside the world, which is that there is room enough to go around; thinking about participation and empathy and sharing resources and that sort of thing. And then there’s the microcosm of within your own individualism, finding that solidity that will help you maintain a stable mental and physical life, and finding in your own immediate surroundings love and community and all these sorts of things. And that duality really spoke to the record.